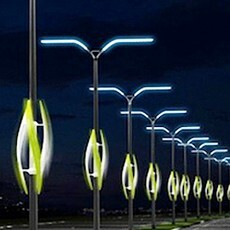 84% of world’s streetlights LEDs by 2025; 37% networked, or “smart”. There are currently more than 2,000 LED and smart streetlight projects globally. With these infrastructure projects, cities and municipalities across the world modernize their streetlights with more efficient light-emitting diode (LED) lights. They are also deploying sensors, communications and analytics software throughout their street lighting infrastructure and creating “smart cities.” This is a key segment of the emerging “Internet of Things.” Rapidly falling costs and clear benefits have led to a sharp increase in the number and scale of LED and smart streetlight projects in the past year, according to a new study published today by Northeast Group, LLC.